Caps & Bonnet Hats There are 18 products. 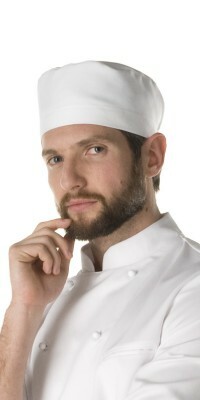 Corbara’s Chef Uniforms: discover the selection of chef caps and kitchen hats. - Chef Cap, available in lightweight pure 100% cotton fabric as for the Classic model, of TNT non woven fabric and paper (standard and Ovale), in order to satisfy the most demanding chefs. - Toque Saucier, beanie available in different colours, appreciated in the most modern kitchen brigades for its practical and contemporary style. 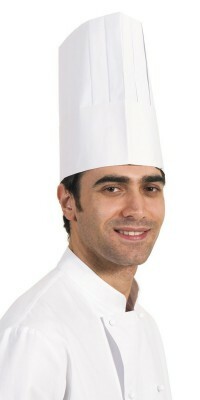 - Monsù, available in two heights (high and short), is a fabric chef hat, dedicated to those who prefer a classic-rétro style. - Women's Bonnet Hat and men's Forage Hat, completely made of cotton and with airing mesh, it’s the classic hat for assistant and commis chefs. - Bandana, available in white, black, striped blue and striped black, it’s not a classic kitchen headgear, even if it has been appreciated in the last years, above all by young people. 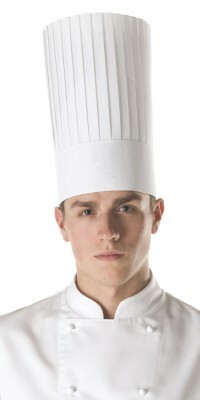 Chefs' low hat, model Toque Saucier Height 9 cm – UnisexBlack colourAdjustable one sizeMade of Remy Gabardine, 65% Pol. 35% Cot. 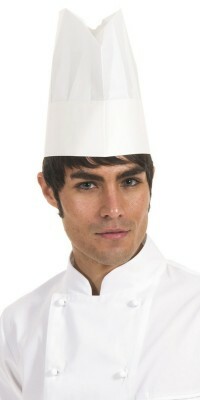 Chefs' low hat, model Toque Saucier Height 9 cm – UnisexDark Grey colourAdjustable one sizeMade of Remy Gabardine, 65% Pol. 35% Cot. 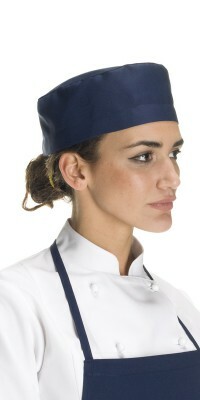 Chefs' low hat, model Toque Saucier Height 9 cm – UnisexNavy Blue colourAdjustable one sizeMade of Remy Gabardine, 65% Pol. 35% Cot. 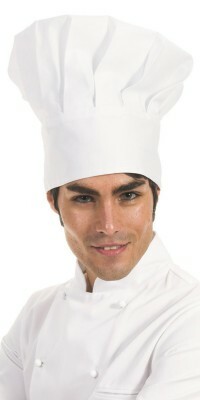 Chefs' low hat, model Toque Saucier Height 9 cm – UnisexWhite colourAdjustable one sizeMade of Comfort Satin, 50% Cot., 50% Pol. "cotton on the skin"